Today, Wednesday 25 September, Escalator Press goes live to the world! 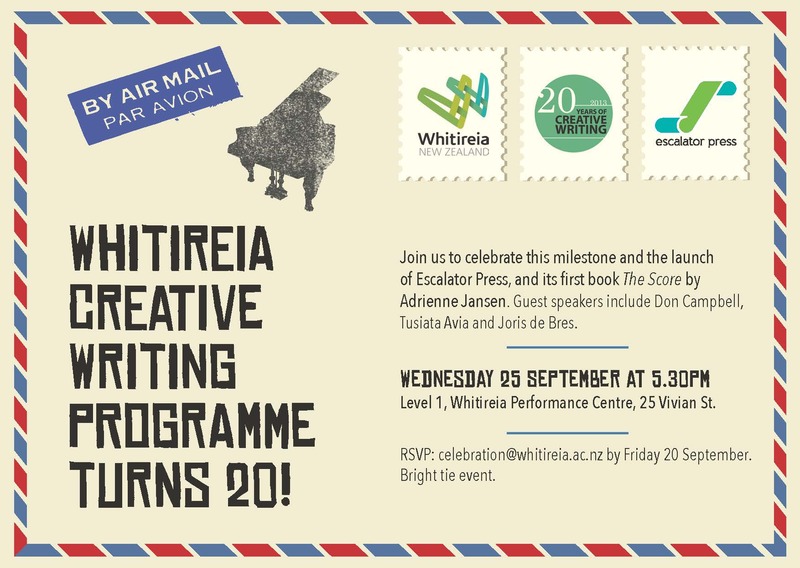 Tonight we celebrate 20 years of Creative Writing at Whitireia with a party that launches us too – and our first book, Adrienne Jansen’s The Score. 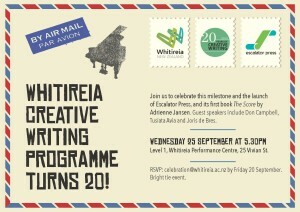 Joris de Bres will launch the novel and Adrienne has even assembled the band featured in the book. So it’s going to be an action-packed evening. If you are reading this, here is your invitation. See you there.